SPECIAL PRICE : 9€ including post. for this first release from the super band Arden. Arden is the new band of Mitchell Akiyama, aMute and sogar. For friends of Colleen, Fennesz and Keith Fullerton Whitman. 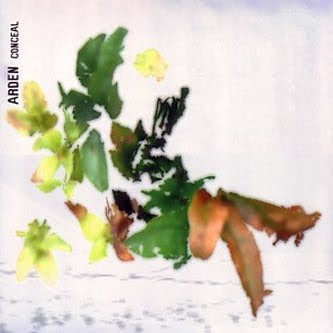 Arden is a Belgian-Canadian-French six-piece band that unites the forward-thinking micro-forces of Mitchell Akiyama, aMute, sogar, Jeuc Dietrich, Christophe Bailleau, and Sébastien Roux. Their debut, "Conceal", was conceived across a three day production bender at an old house nestled in beautiful Belgian country. The album's style marries a minimal-electronic approach with post-rock sensibilities from each artist's sonic palette to birth an entirely unique provisational sound. "Conceal" is a delightful production piece with unlimited moments of candid melodic beauty that spring into dynamically intense yet masterfully contained emotive exaltations.